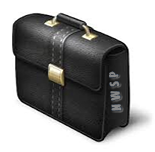 Since its inception in 2005, NWSP has been creating industry leading quality websites. Now it’s almost been a decade since we are providing quality and highly competitive website services. In start we were just few of dedicated, creative, innovative consistent and hardworking geeks. We started in a garage. Now we are in 10th year of business, we are proud on ourselves, we didn’t born with silver spoon in mouth, we earned it, we created this company from scratch, and slowly build it and always select very honest and dedicated people on key posts. So they can hire and manage people they like. We are very excited to celebrate our 10th birthday in January 2015. We have great plans and we like to expand more , keep our client base, and slowly adding new clients that we can accommodate easily. As mentioned earlier, we started from a garage, our team was fantastic four, now we have grown due to our optimism, hard work, consistency and client support, as we always be at our best behavior with clients, put our soul and body behind all projects. What we are now we are only due to our loyal clients, who never leave us and let us grow gradually over period of years and in return we always provide them with dedicated and quality services. Now over total team strength is over 50 and programming teams are located in USA, CANADA & Sweden. We are integrated with each other like a parallel processing and we always complement each other no matter if our teams are located thousands of miles from each other. Each of our office has independent sales managers, project managers, website designers, website programmers and developers, quality control department, ethics supervision person, who advise our people how to be a good person in addition to be a good programmer. Corporate brains of our company are always in touch, have weekly virtual meetings, share ideas, and discuss latest trends. So this make us more technically sound and work in efficient manner. If team A is over whelmed with work and team B can assist them then we always borrow each other resources. So that makes us dream team. OK what should we say about our core expertise. Let us think for a moment…. Hmm… okay we just realize that we are expert in everything. Not believing us…. No problem… just work with us and you will know by yourself… give us any project or anything that could technically possible in current development and technologies either we know it or if don’t , no problem we will learn it fast than even you know and complete your project in same time. What we do is simple we just do websites. And we will not go into technical details of it. If you have website or looking for website of any kind, if you like to add something in your website, or if you need our FREE CONSULTANCY SERVICES we will help you all the way. So in short we do all and it’s all about websites. Again WE DO WEBSITES.